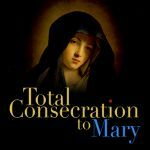 St. Faustina was a relatively uneducated Polish nun, but this diary captures the extraordinary visitations and revelations that released a potent, enlightening, and spiritually refined formulation of Divine Mercy into the world. 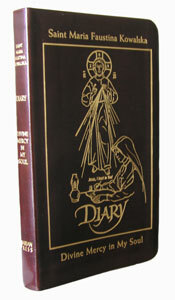 In honor of the first World Apostolic Congress on Mercy (April, 2008), a new, more attractive and durable edition of St. Faustina’s profound diary is available. The leatherbound Deluxe Edition is now available in soft burgundy leather with gold foil, gilded edges, and a ribbon marker. 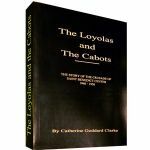 Generously illustrated with over 20 pages of photos from the history of the Divine Mercy movement, it is a book for every Catholic’s library; one that many will want to keep next to their Bible for constant insight and inspiration. The message of Divine Mercy is simple: God loves us, all of us. And he wants us to recognize that his mercy is greater than our sins, so that we will call upon him with trust, receive his mercy, and let it flow through us to others. St. Faustina’s diary is truly a vehicle of grace for all who read it, for in reading it one can realize the truth that mankind will not have peace until it turns with trust to Gods mercy (Diary, 300). Illustrated in color and black & white, burgundy leather with gold foil, gilded edges, and a ribbon marker.